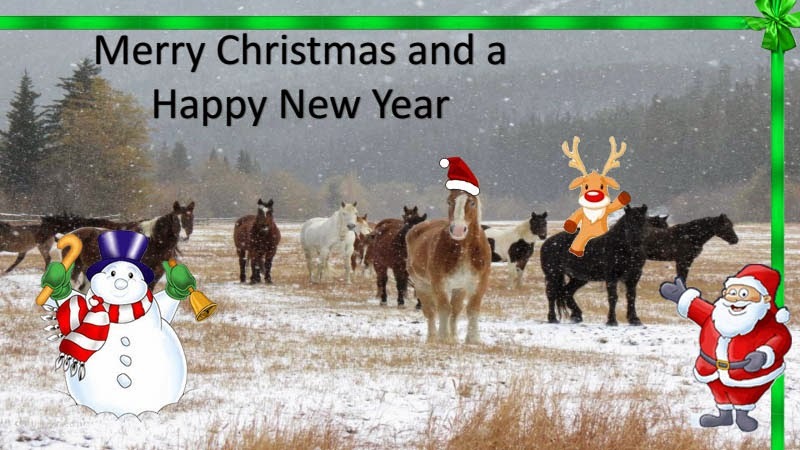 Happy Holidays from the working dude ranch! A few days ago, one of our staff found a little story online. We all were touched by it's message, which is a really simple one: "Make this years Christmas a special one, by letting the technology rest for the next three days and give your beloved ones the present of full undivided attention. Technology cannot sit around the Christmas table and laugh at your stories. It cannot create memories that get us through though times and will never love you. But your friends and family do." As we love to lead by example, here at our working dude ranch we will happily follow this suggestion for the next two days and therefore won't be available until the 26th. We are sorry for the inconvenience! We at Chilcotin Holidays wish all our readers a merry Christmas, may it be a happy one, full of love and warmth and laughter! We hope to see you at our working dude ranch in the coming year!